Bay Central Tavern offers a relaxing atmosphere with indoor and outdoor dining available. Our extensive menu offers a wide range of seasonal dishes to suit all ages and tastes. We feature a special kids menu to keep the little ones happy and offer special value meals for our senior diners as well as a great value lunch menu. Our meals are all reasonably priced with delicious steaks, seafood and everyone's favourite pub fare. If it's a relaxed friendly atmosphere you are looking for then come in and enjoy our family friendly bistro dining. 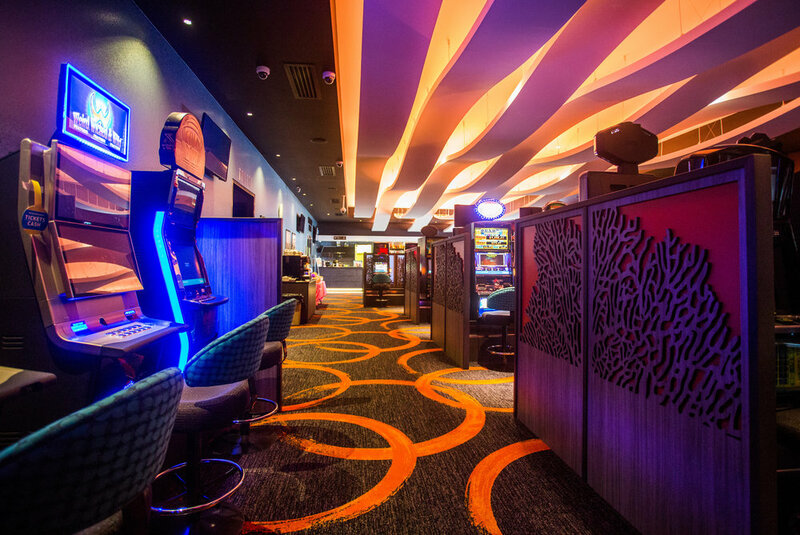 Here at Bay Central Tavern we offer a comfortable Gaming room featuring 45 of the latest gaming machines, Keno terminal, and link jackpots including the latest Lightning Link, Dragon Link and Lock it Link machines. We have Ticket in Ticket Out system operation on our machines allowing you to move quickly and easily between machines. Our comfortable modern lounge area is provided for patrons to relax, enjoy Keno and indulge in our Premium ranged bar. Looking for accommodation for your next trip? Check in at Nightcap Hotels, our Accommodation Partners across Australia.